Zeblaze company (Shenzhen Zeblaze Technology Co.Ltd) produces high-quality smartwatches and can safely say that already enjoys reputation and its products are recognizable. Surely most of you associate elegant, reminiscent of classic watch Zeblaze Cosmo (available on Gearbest for $65.89, Tomtop for $66.99 and Geekbuying for $69.99). 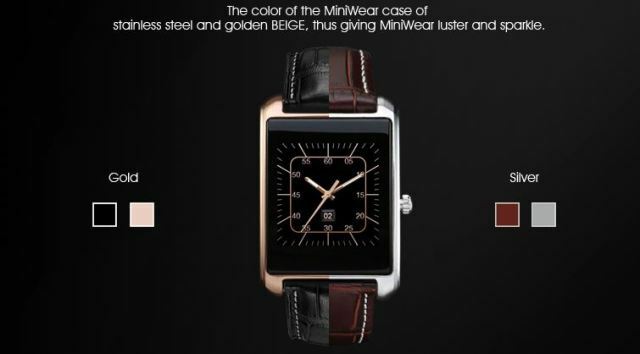 Zeblaze brand is not idle, and expanding its portfolio with a new model smartwatch called Zeblaze MiniWear. 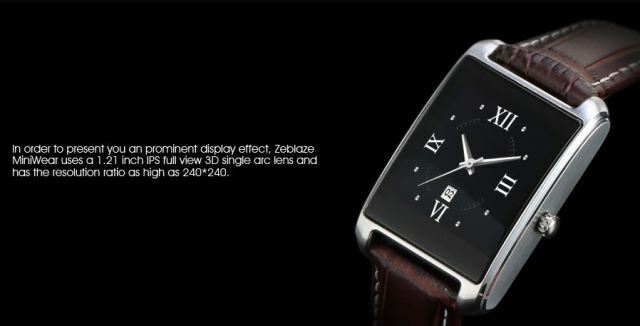 Zeblaze reveals more information about the new “Mini but mighty” smartwatch. Zeblaze MiniWear design looks similar to Zeblaze Cosmo, but with significantly smaller display. MiniWear smartwatch has 1.21-inch IPS display with full view 3D single arc lens it managed to get 240 x 240 pixel resolution. At first glance it Zeblaze MiniWear is a elegant smartwatch. Reminds us of some watches Emporio Armani. Zeblaze MiniWear is equipped with Mediatek MTK2502C processor and offer five different watch face designs for better customization. The MiniWear besides to the elegant design has a lot of well-known features of the smart watch: Pedometer, Phone book, Calls reminding, Music player, Anti-lost alert, Sleep monitoring, Camera remote, Call answer, Find phone, Sync SMS, Sedentary Reminder,Heart rate monitor,Sync Email,Calculator,Timer,Calendar.